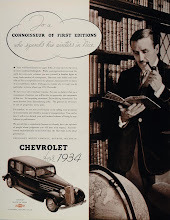 Thanks to Leap Year, I have one last day to post something to this blog for February. 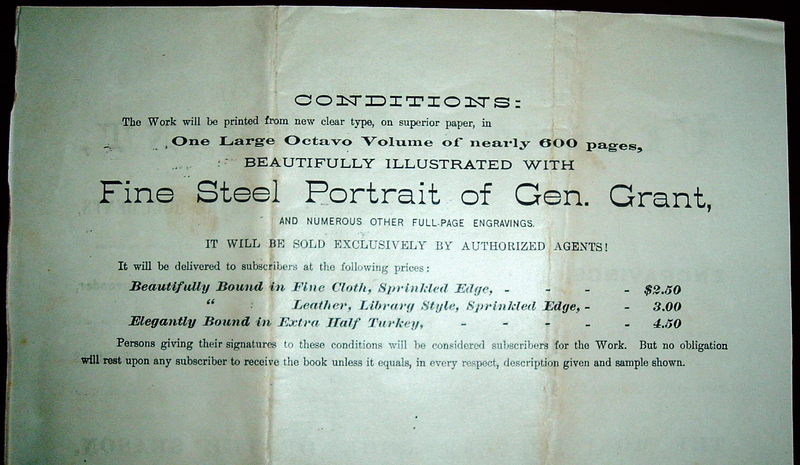 As I've just finished reading Killing Lincoln, by Bill O'Reilly and Martin Dugard, here's a publisher's double-sided advertisement for a biography of a man close to Lincoln--Ulysses S. Grant, the great Union General in the Civil War and the 18th President of the United States: A Personal History of Ulysses S. Grant, by Albert D. Richardson, published shortly after Grant's death. Grant and his wife were invited by Lincoln to accompany the Lincolns to Ford's Theater the night of the assassination, April 14, 1865, but Grant deferred to his wife's wishes to get out of town that afternoon. There's a lesson in there, I suppose. 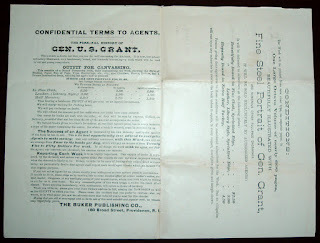 Had he accepted the President's invitation, there may not have been a President Grant. John Wilkes Booth had hoped to kill Grant along with Lincoln when he heard they might be watching the play together that night. Grant would live another 20 years and succeed Lincoln's successor (Vice President Johnson) in the White House in 1868. 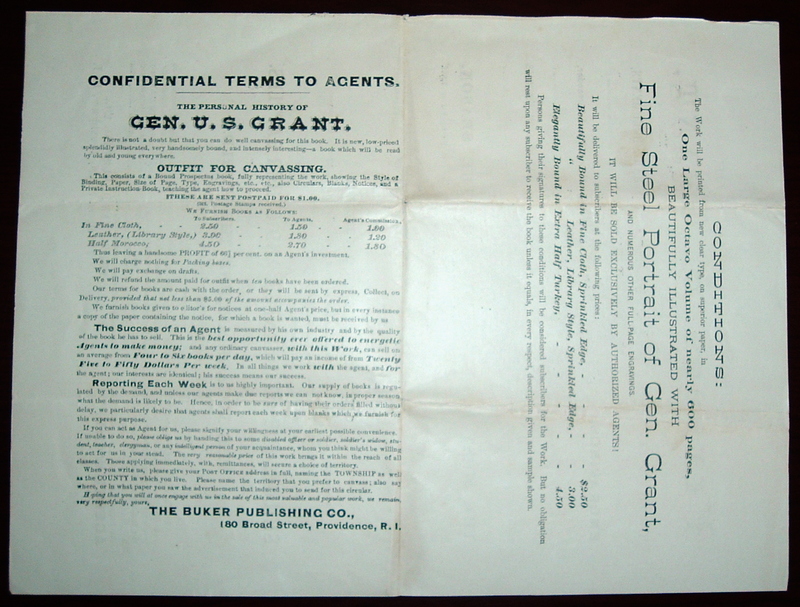 And Personal History of Ulysses S. Grant would be written and published three years later and again shortly after his death. 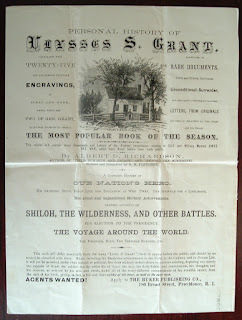 There is no date on this advertisement, but it does refer to Grant's life through the "Terrible Sickness, Etc." That would be his throat cancer, which eventually killed him. He worked on his memoir during that illness, dying just five days after the last page was written. 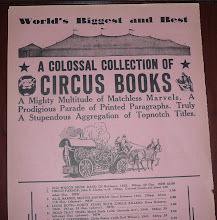 The memoir was published in 1885 and was a huge success. 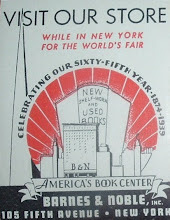 The publisher listed in this ad piece is Buker Publishing Co. of Providence, Rhode Island. But Buker was not the first publisher of this title by Richardson. 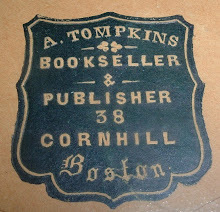 American Publishing Co., in Connecticut, first published Richardson's biography in 1868. Buker Publishing in Providence, Rhode Island published this revised copy by R. H. Fletcher. 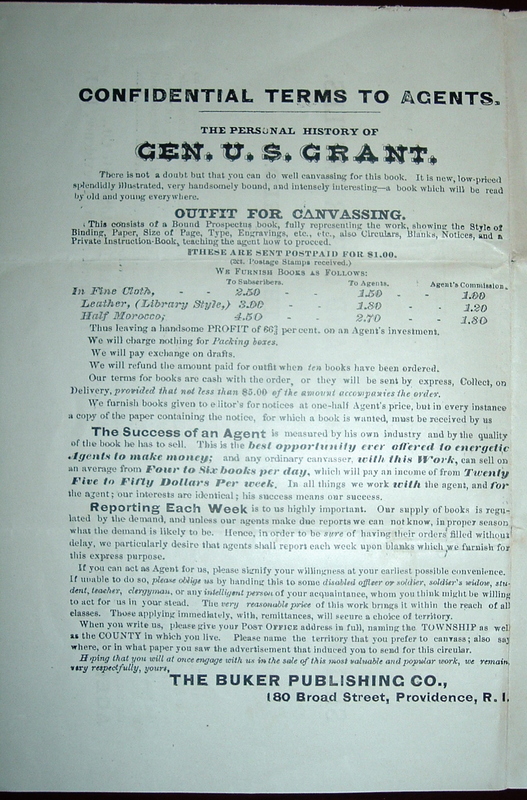 Near the bottom of the full-page side (the other being split into two separate messages), there is this clue about the timing of the publication: "This work will differ essentially from the many 'Lives of Grant' likely to appear before the public, and should by no means be classified with them." Surely this refers to Grant's recent death and the inevitable numerous books expected about his life, military career, presidency, etc. 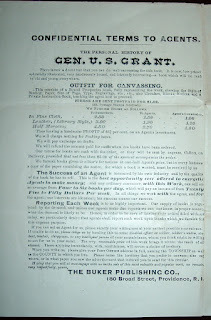 So I'd guess that this ad dates to shortly after Grant's death in 1885. 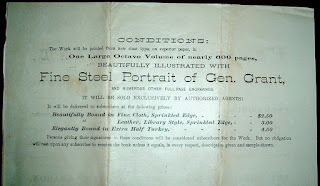 The divided side of this ad provides details about the book: A single, large octavo volume of nearly 600 pages; full-page engravings, including a fine steel engraving of Grant; and "beautifully bound fine cloth or leather for $2.50 and $3.50, respectively, or "elegantly bound" in extra half-turkey (morocco) for $4.50. 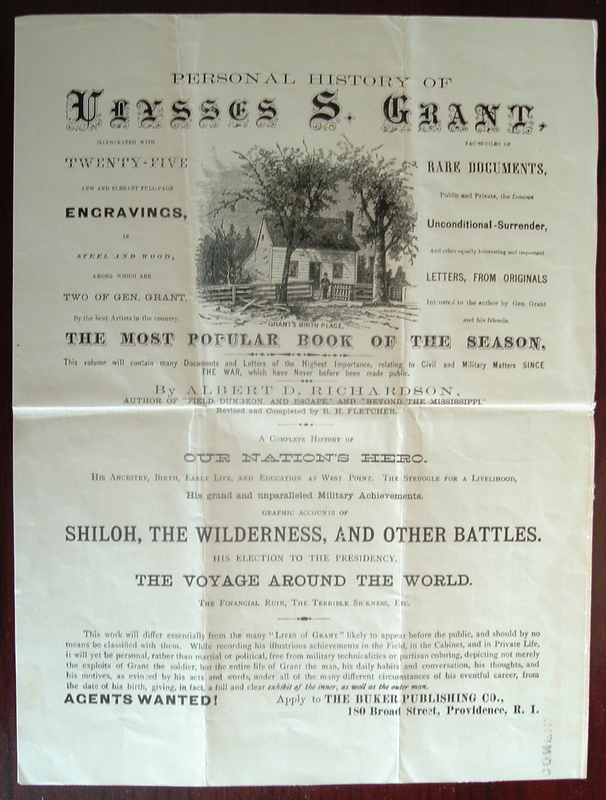 I don't know how many subscriptions Buker agents sold, but, despite the ad's claim that A Personal History of Ulysses S. Grant was the "most popular book of the season," I'll bet they had a hard time competing with the publication of Personal Memoirs of U. S. Grant when it came out, if indeed it did come out about the same time. It was a huge publishing success and the more memorable of any of the books that came out about him after his death. On an interesting side note, Mark Twain's upstart publishing firm put Grant's Personal Memoirs into print for their first year in business. Barely a year earlier, they had pretty good success with their very first book, Twain's The Adventures of Huckleberry Finn. How do you top a one-two punch like that? They never did.